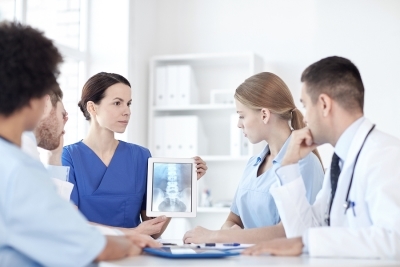 The spinal surgeon at your spine institute should carefully and patiently explain your spinal surgery procedure to you. Be sure to take notes when he discusses the spinal stenosis surgery process, and ask as many questions and request clarification as necessary to ensure you understand everything. Your spine center surgeon is there to ease your worries and let you know what to expect from your spinal stenosis surgery so that you can be as fully prepared as possible. Make sure that you are aware of all possible outcomes for your spinal stenosis surgery. This includes which symptoms of lumbar spinal stenosis or cervical spinal stenosis might be relieved or eliminated by your spinal surgery. You’ll also want to be clear on which symptoms might remain, and what the possible side effects, risks, and complications of your spinal surgery are. The spinal surgeon at your spine center should give you an accurate and realistic picture of your prognosis and to what degree your stenosis of the spine will be improved. You should be prepared for your recovery process post-spinal surgery. You might need to make follow-up visits to your spine center for further spinal stenosis treatments or physical therapy. There may be limits on your physical activity levels after your cervical or lumbar stenosis surgery. You will need to request time off of work, and might need a friend or family member to help care for you while you’re recovering. If you are prepared for back pain post-spinal surgery, your recovery time might be faster.